Photo credit: David Rutledge (cropped), CC BY 2.0. I was hesitant to sit down and actually write this post because, like most people who track their spending for a week or a month, I didn’t want to know how much money I’m actually spending on anything. In my household, we shop in different stores for different items. I don’t know how some people can go to Costco and call it a day. My boyfriend and I have a multicultural diet and shop at many different places depending on what kind of cuisine we feel like eating. We primarily shop at our neighborhood Fred Meyer (a Kroger brand), a Filipino grocery chain called Seafood City; Uwajimaya, a family-owned, Seattle-based Japanese grocery store chain; PCC Community Markets, another Seattle-based chain that’s focused on organic and natural foods, and Viet Wah, a Vietnamese grocery chain. My boyfriend and I take turns on paying for groceries, without fail, we go once a week for a big shop, and pick up a few items here and there throughout the week. Our grocery list is pretty boring and standard and we hardly deviate from the list: his and hers yogurt (dairy and non-dairy), American and Asian vegetables, frozen berries, avocadoes, bananas, some kind of cut fruit like watermelon or cantaloupe, ground turkey, the occasional sausage or bag of shrimp, chicken pieces, cashews, pasta and/or rice. Pretty boring stuff, but I’m a very good home cook and I can transform said ingredients into very tasty and cost-effective meals. I grew up in the restaurant industry and, not for nothing, I’ve picked up some valuable cooking and meal-stretching skills. My total for the month was $357.58. I don’t know if that’s high or low for our household of two people, but remember that we live in a high-cost area, and we tend to pick organic, natural, and hormone-free meats and support smaller businesses which contribute to higher costs of our grocery items. 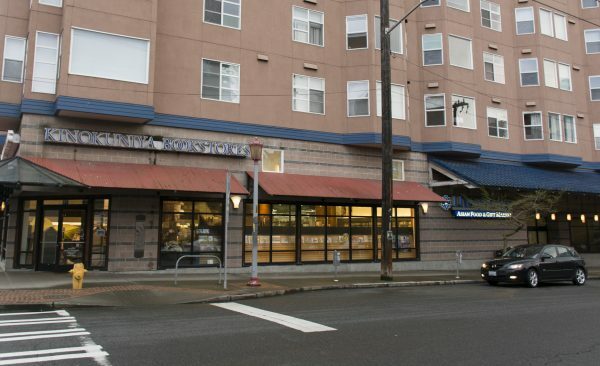 PCC Markets, for instance, is notorious for their premium prices, but they also carry specialty items that we can’t find anywhere like incredible nut cheeses, Blue C sushi, and high-quality breads. A few days ago, I went to Seafood City and bought a bunch of vegetables, a 15-pound sack of rice, cut fruit, Asian condiments and what-not for $70.01. If I bought the same items at Fred Meyer my haul would be closer to $100, but I don’t do all of my shopping there because they don’t sell natural, organic and hormone-free meats. I can handle eating non-organic vegetables but I will spend the money on natural meats, and will spend the time and energy to support it. I used to have very painful periods and cystic/hormonal acne, and I found out quickly that switching to a hormone-free diet was a very good thing indeed for my overall health and increased the enjoyment I got out of life. So, right after I left Seafood City, I went straight to Fred Meyer and started a whole new grocery trip. I picked up natural meats, frozen berries, sushi, and toiletries. I find that American items in Asian grocery stores tend to be more expensive and vice versa, which is another reason why we spread out our grocery shopping throughout four to five different stores. Uwajimaya is the most expensive Asian grocery store we patronize as far as I can tell, but their stores tend to be nicer and they tend to carry a good amount of higher end items like Chuao chocolate, Ellenos yogurt and the like. For a Japanese store, their sushi is abysmal but they sell top-notch grab-and-go tofu fried rice and passable Spam musubi. We go there when I just can’t be bothered to cook, when we’re out of brown rice, or if we just have to have Spam musubi. Going to Seafood City is always like a field trip to Filipinotown for us and, out of all the grocery stores we support, it’s the one I most look forward to visiting. Number one, it’s inside a really nice mall so we can always powerwalk afterwards and get Starbucks; number two, they have a legit point-and-order restaurant in the store’s outskirts called Grill City. As I get older, I find that I’m finally proud and appreciative of my heritage and culture. In my twenties, you would never find me shopping at Seafood City; instead, I’d drive all the way to Whole Foods instead and spend three times as much on groceries. I just bought a giant bowl of cut cantaloupe at Seafood City for $2.99; a small bowl of cut cantaloupe sells at PCC for $3.49. so yes, I have absolutely no need to be “cool” anymore because frankly, I’d rather save some money. Groceries are the one area in my financial life where I have a blind spot. I use coupons when they come in the mail, use my Fred Meyer rewards card religiously, and fill out the customer feedback form to get more points, but other than that, I don’t think about my grocery budget. I realize I’m incredibly privileged not to worry about paying for groceries, but we’ve also made life decisions that enable us to not worry about it. This piece is part of The Billfold’s grocery budget series.